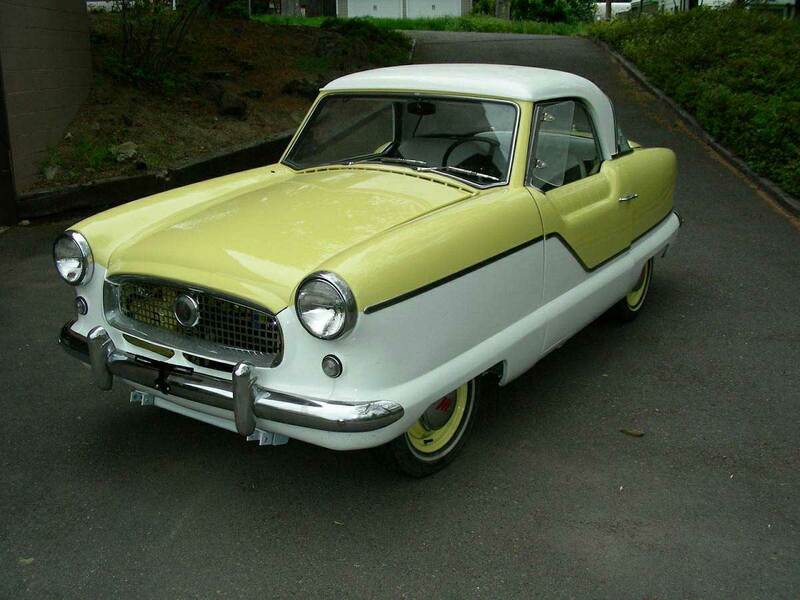 Someone is selling this super cute 1958 Nash Metropolitan that runs on batteries for $12,500. It has a range of 45-55 miles. There's no room in the trunk because of all the batteries, but I am tempted to buy it. 1958 Nash Metropolitan EV Conversion: This unique car is a head turner which is great fun to drive. As an EV enthusiast, it has led me into many great conversations which resulted in others joining the growing number of EV drivers but, after about 5,000 miles of enjoyment, I am moving and must sell. This is your chance to help others understand the benefits of EV ownership and have fun doing it. Curb Weight:	Original: 1,890 lb. Converted: 2,250 lb. Drive Train:	AC-50 3Phase Motor coupled through 3 speed transmission. This is a very clean and reliable conversion which included many chassis improvements and upgrades during the vehicle restoration phase resulting in a total investment of over $30,000. The batteries (rated for 3,000 to 5,000 charge cycles) are still strong since I have charged them less than 200 times. With a 220 Volt outlet (like a dryer) the 4KW charger will restore full power to the batteries in 3 to 3-1/2 hours. I will provide full documentation of the conversion components and process.